I am weeding my garden. It's a slow and tedious process. It's not helped by the insect activity around the flowers. How can I haul them out of the ground when they're covered in feeding insects? Hoverflies are harmless*. They don't bite or sting. But the black-and-yellow banding and the wing-buzzing (in some larger species) might mislead predators into thinking that they're looking at bees or wasps. 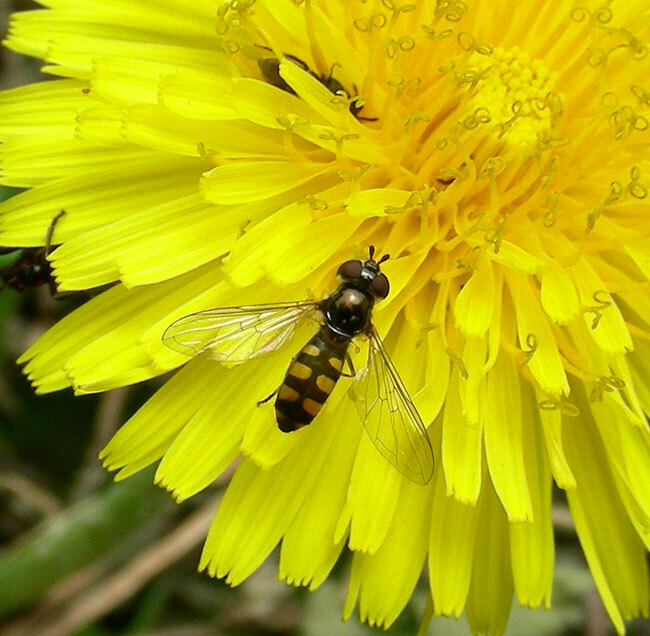 Afraid of being stung, they leave hoverflies alone to get on with the business of zipping around flowers and ushering in spring. If these are the good guys in regards to aphids, will the Seven I put on my roses affect them?